This mirror consists of an oval giltwood frame with egg and dart decoration leading to a ball bead design with original bevelled mirror plate in good condition. The mirror could be used either portrait or landscape. 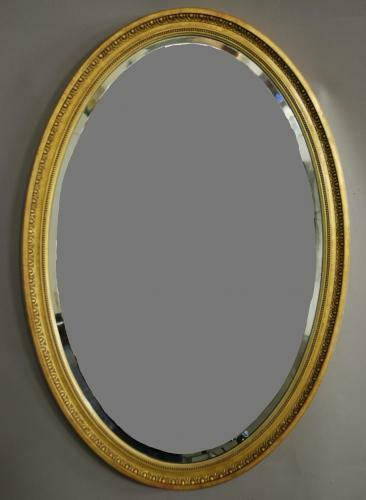 This mirror is in very good original condition for age and can go straight into a home.